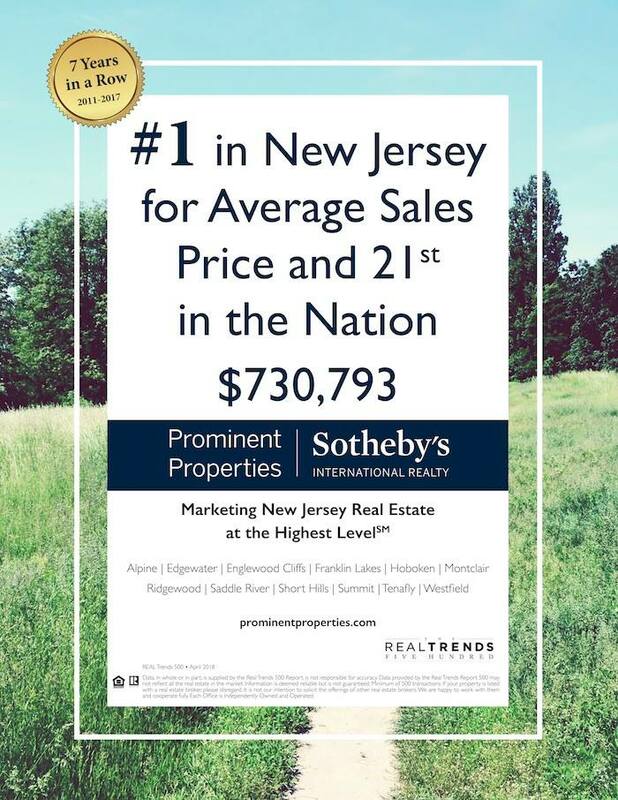 We are so proud to present Prominent Properties Sotheby’s International Realty as #1 in New Jersey for 7 years in a row for Average Sales Price and 21st in the nation! In 2017, Prominent Properties Sotheby’s International Realty had its best year yet, with 2,510 transactions and $1,834,291,327 in sales, which would not have been possible without our clients and our incredible hard-working associates. We are also very excited to see many of our amazing Sotheby’s International Realty affiliates on the list including Golden Gate Sotheby’s International Realty, Pacific Sotheby’s International Realty, TTR Sotheby’s International Realty, Daniel Gale Sotheby’s International Realty, LIV/Sierra/Summit Sotheby’s International Realty, Jackson Hole, Lakes, Sun Valley Sotheby’s International Realty, William Pitt / Julia B. Fee Sotheby’s International Realty, Premier Sotheby’s International Realty, Russ Lyon | Sotheby’s International Realty, Atlanta Fine Homes Sotheby’s International Realty, and Jameson Sotheby’s International Realty. For more information and the full article, click here.